Shortly after releasing the latest developer beta for iOS 12, Apple has shipped tenth beta versions of watchOS 5 and tvOS 12 in its developer-based testing program. The new build can be downloaded from the Apple Developer Center, or via an over-the-air update for devices enrolled in Apple's testing program. A public beta version is typically released within a few days of the developer betas. On its tenth build, the latest tvOS 12 beta is build number 16J5364a. The previous build, the ninth beta, was number 16J5360a. Support for Dolby Atmos surround sound is included in tvOS 12, which can locate sounds in 3D space for the viewer without relying on discrete audio channels. A number of home control systems will add support for the Apple TV, as well as Siri interactions. Cross-device Autofill can allow users to sign into tvOS apps using the same credentials as they used for iOS apps, reducing the need to enter them a second time. For some cable services, Single Sign-On will become Zero Sign-On, with the Apple TV automatically enabling channel apps after detecting what provider's network is being used, and the user's subscribed channel package. A number of cable services have announced they intend to use the Apple TV as an alternate to the traditional set-top box, with Charter Spectrum planning to do so later in 2018, along with France's Canal+ and Switzerland's Salt. The Aerial screensaver is being updated to show more details about pictured locations, when users swipe and tap. Lastly, a new "Earth" view in Aerial will show the planet as seen from the International Space Station. Apple's tenth developer beta for watchOS 5 is build 16R5363a, replacing the ninth build of 16R5360 released one week ago. One of the major additions to watchOS 5 is the Walkie Talkie app, which provides push-to-talk communications with another contact's Apple Watch. Pressing the on-screen button opens the line for the user, with the audio feed automatically played through the recipient's Watch speaker. 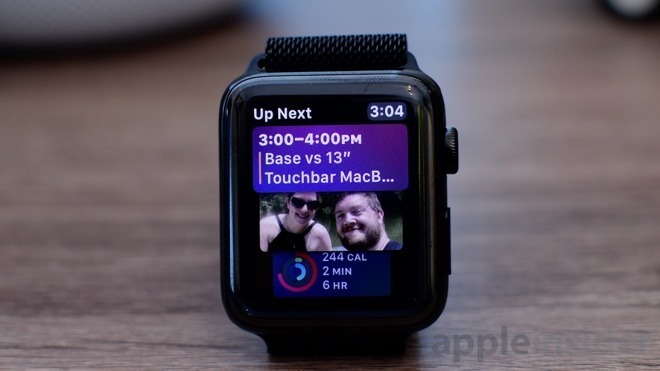 The Siri watch face now allows third-party apps to be added, including a selection from Nike. Siri can also be triggered by raising the wrist to their face, rather than using the verbal "Hey Siri" prompt. For fitness, users can sign up for week-long activity competitions against their friends, with awards and progress updates shared between participants during the competition period. Specific types of workouts are allowed in the mode, including hiking, yoga, and 12 others, while running outdoors will provide pace alerts. There is also automatic workout detection when users start working out, along with a stress detection function that alerts the user if it is determined they have stopped. AppleInsider, and Apple itself, advise against installing beta releases on mission-critical hardware, due to the potential for data loss. Anyone who wishes to install beta software should do so on non-essential secondary devices, and to retain backups of data before installing. Find any changes in the new betas? Reach out to us on Twitter at @AppleInsider or @Andrew_OSU, or send Andrew an email at [email protected]. What are all the complications on the leaked Apple Watch 'Series 4' face?